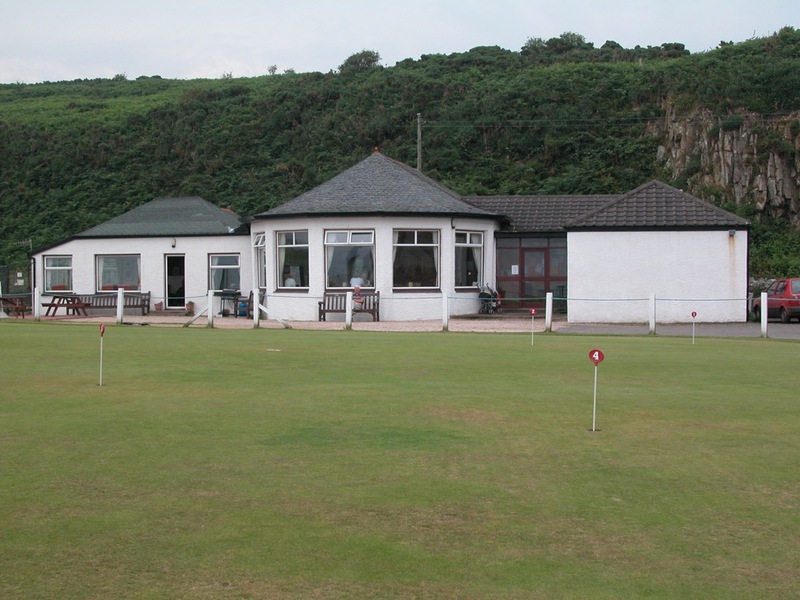 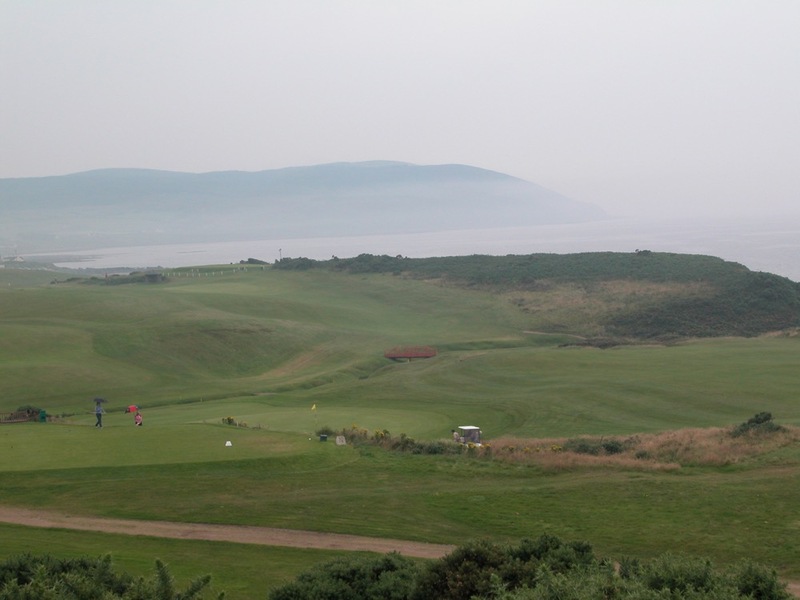 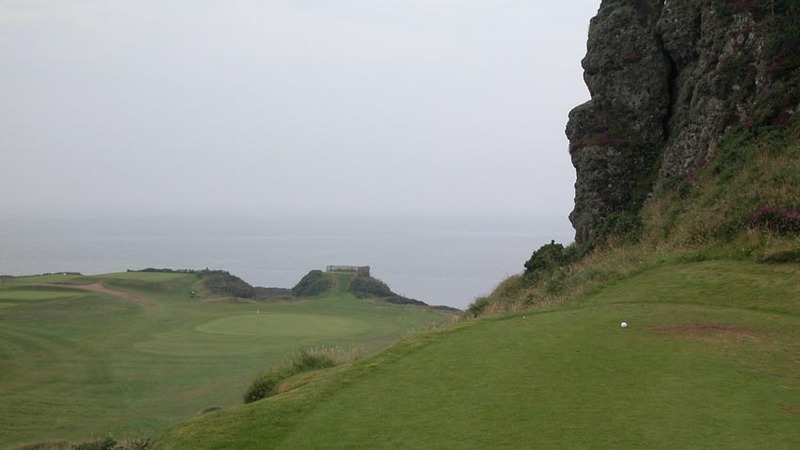 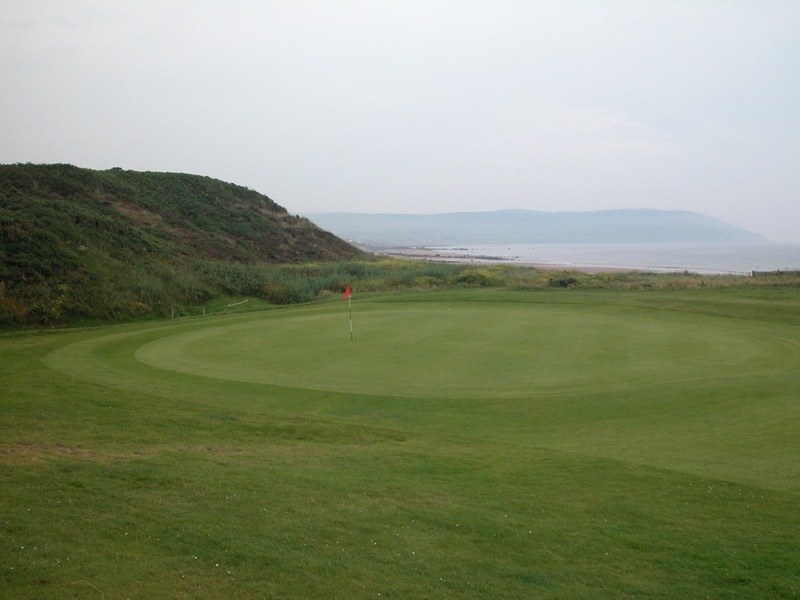 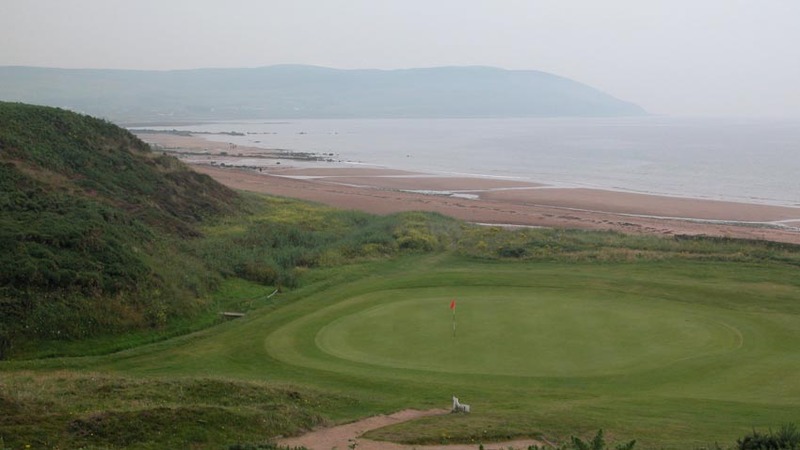 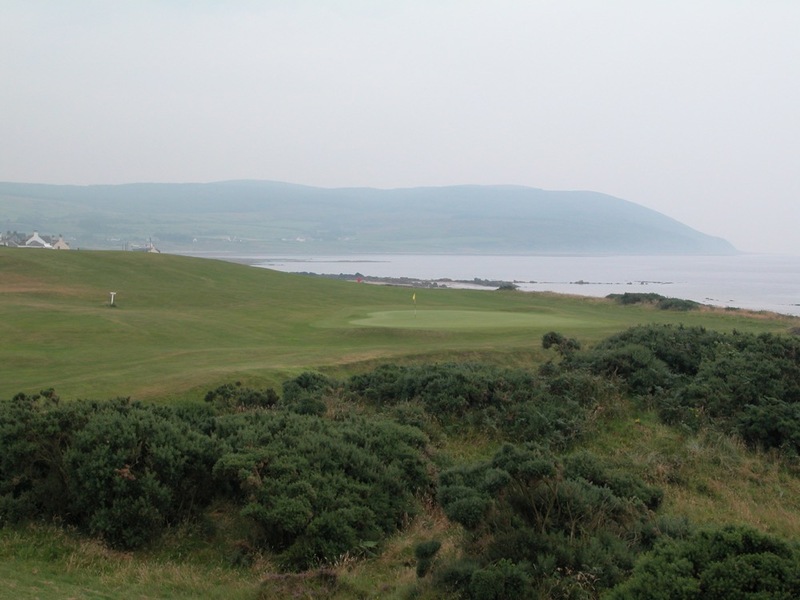 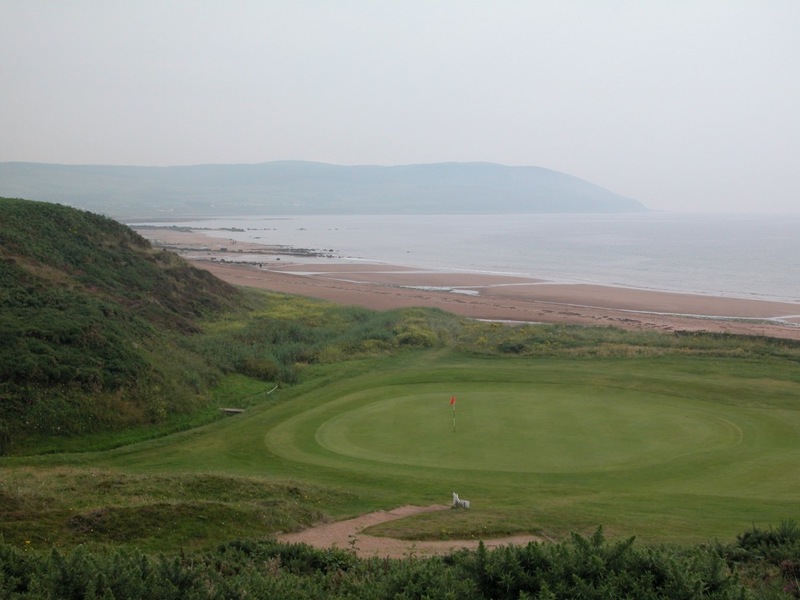 We love using the ferries in the west of Scotland, and the route connecting Kintyre and Ayrshire usually stops at the Isle of Arran, where you can seek out and discover our pick for the most unusual course in Scotland, Shiskine Golf Club in Blackwaterfoot. 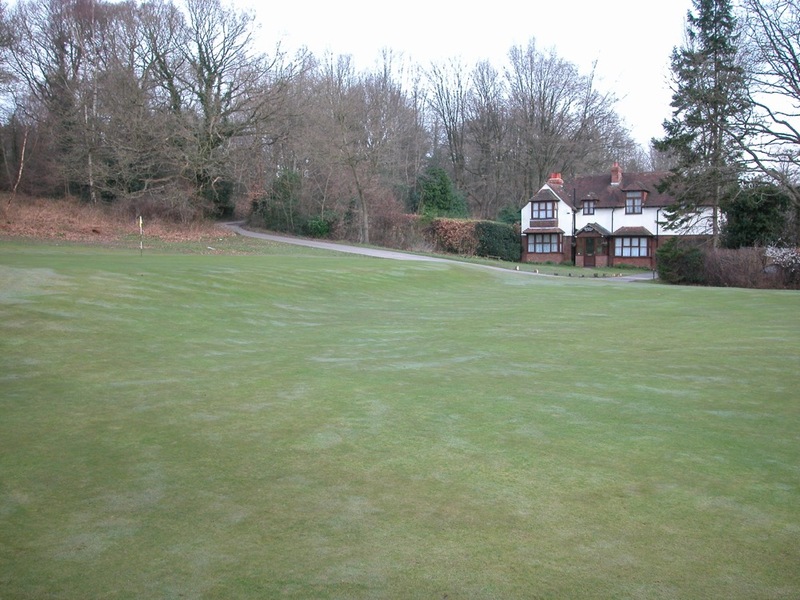 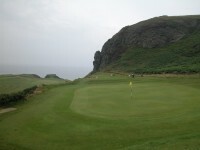 At Shiskine Golf Club, there are only 12 holes in total, 7 of them par 3s! 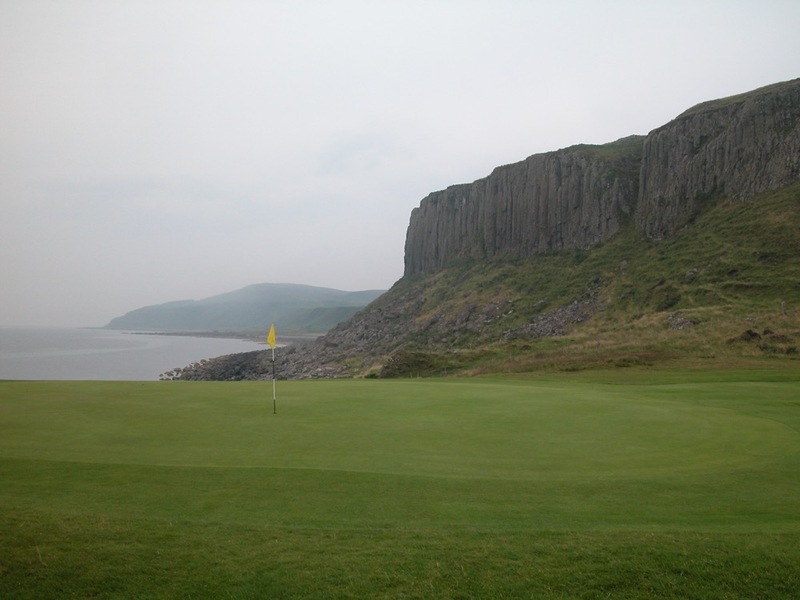 But the 12 holes at Shiskine Golf Club on the Isle of Arran are without question some of the most inter-esting that you will ever play. 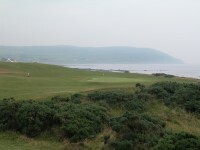 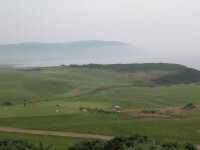 Shiskine Golf Club at Blackwaterfoot may be six holes short, but Shiskine is hardly lacking in beauty. 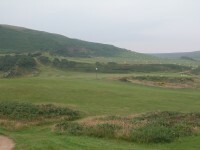 The terrain at Shiskine Golf Club is as exciting as the golf itself. 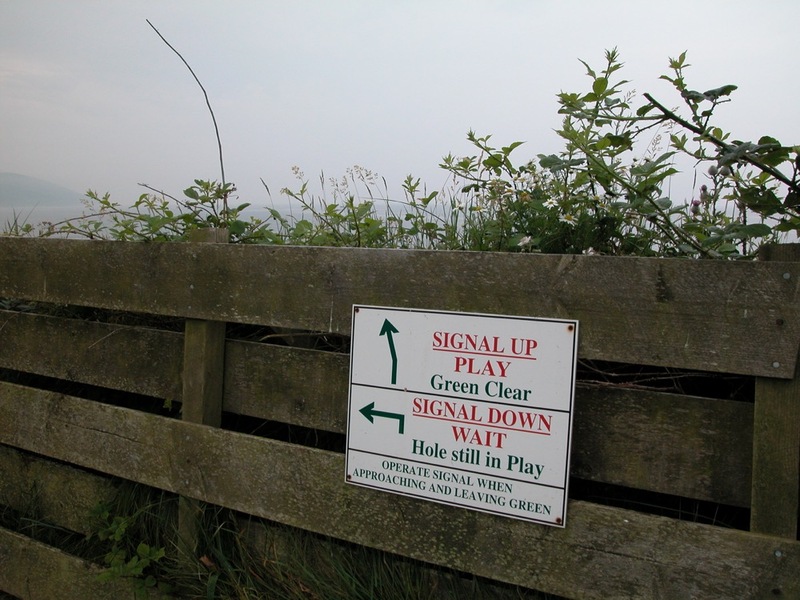 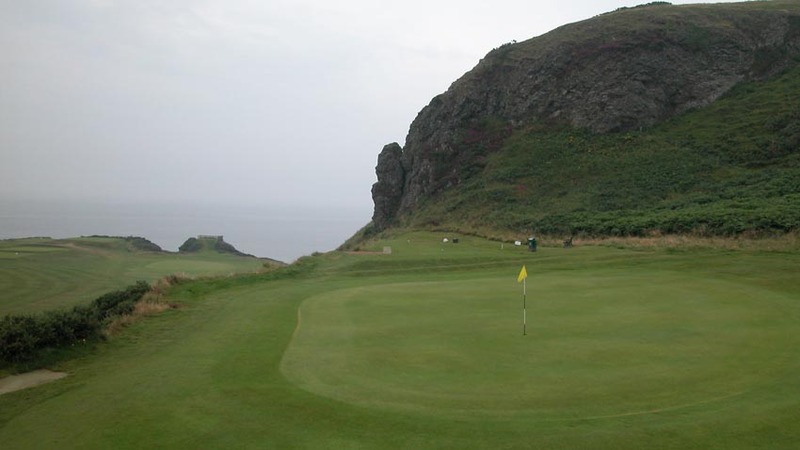 On the Isle of Arran, the locals do things their own way and at Shiskine Golf Club you will find pulley systems in use on some of the blind holes rather than the usual Scottish bell. The entertainment at Shiskine Golf Club really begins on the par-3 3rd hole, aptly named “Crow’s Nest.” On Shiskine’s 3rd hole, the tee shot is not only a blind shot, it is nearly vertical! 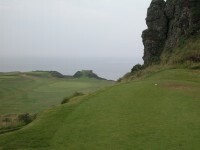 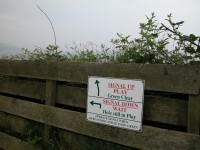 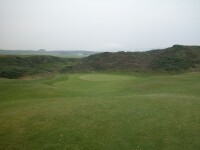 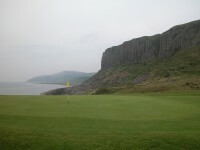 The green on the 3rd hole at Shiskine Golf Club is set on a nearly-impossibly high shelf and it is not an easy target. 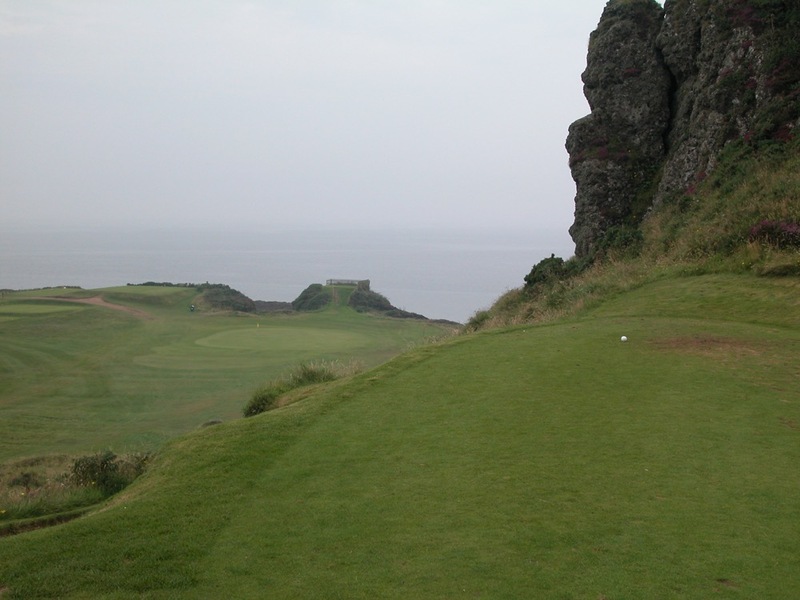 From there it’s almost straight downhill on Shiskine Golf Club’s 4th hole, another memorable par-3 to-wards the sea where the ball seems suspended in the air forever with the sea as a backdrop. 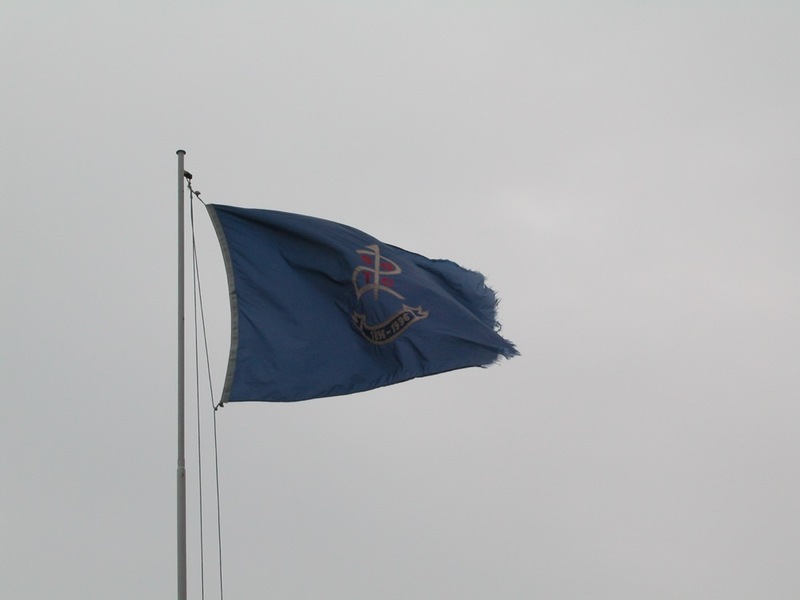 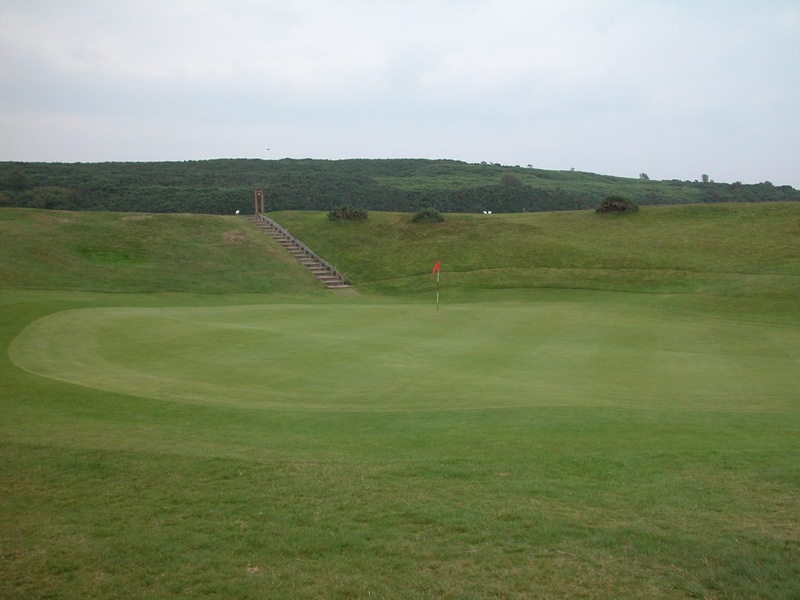 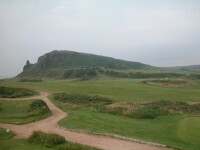 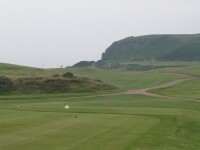 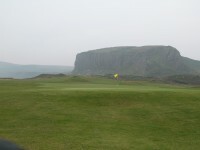 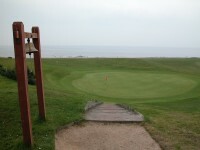 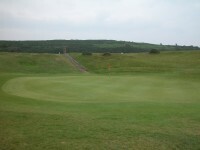 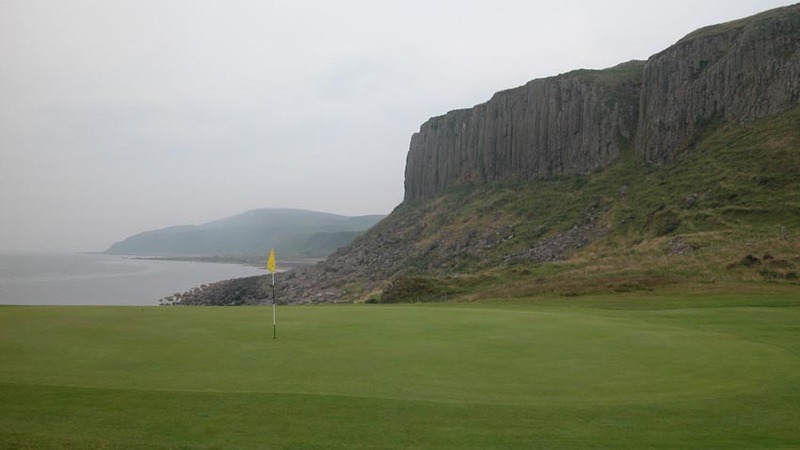 Shiskine Golf Club is a place for those who are not in a hurry on their Scot-land golf tour. 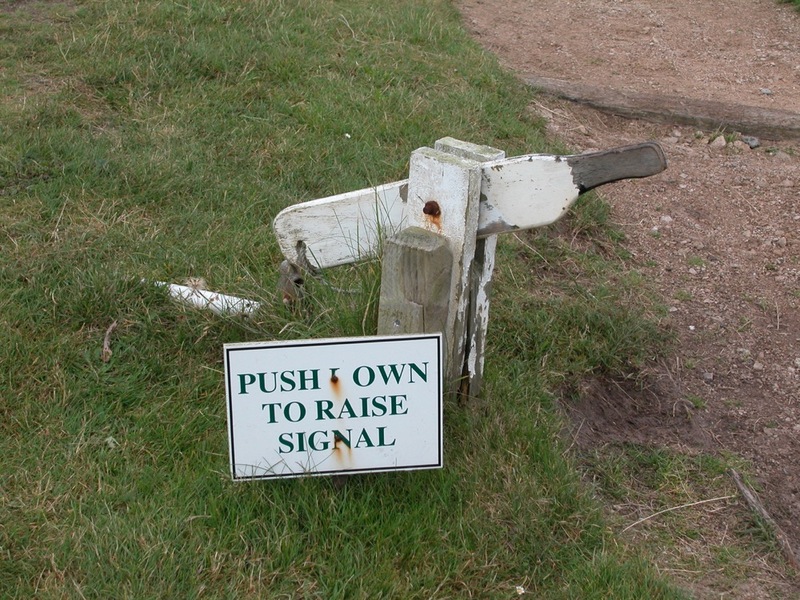 If this describes you, do yourself a favor. 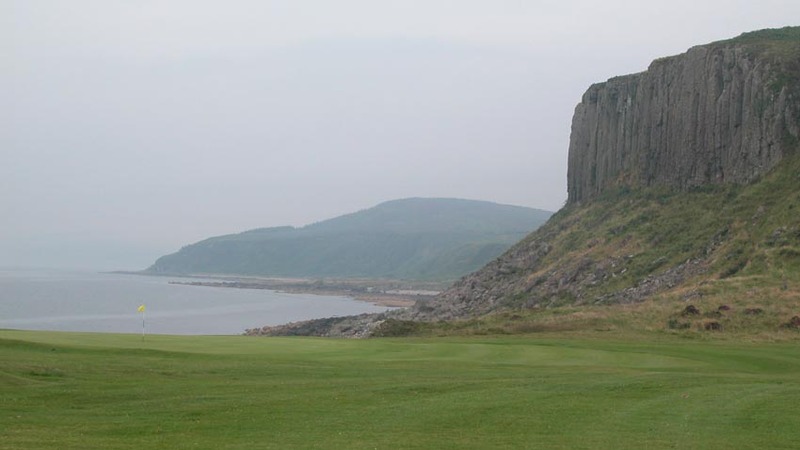 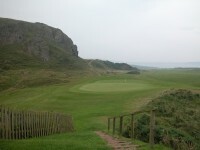 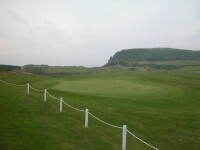 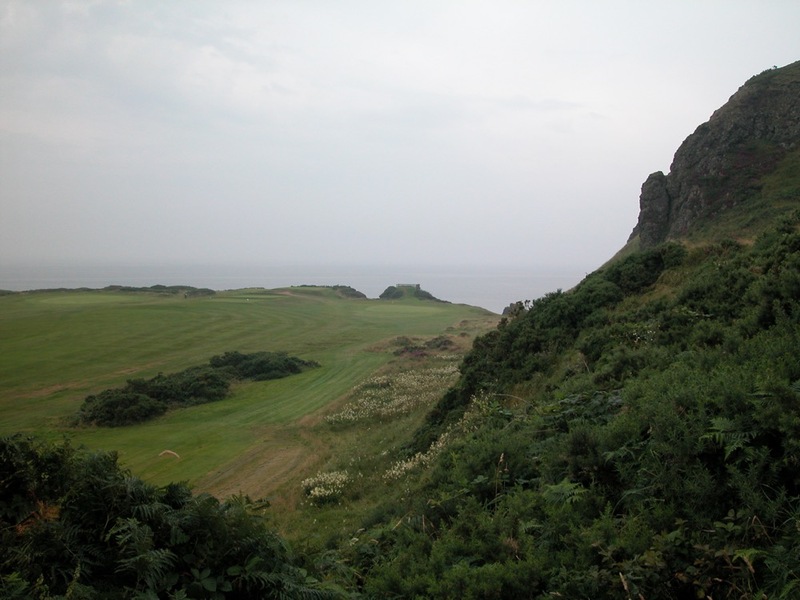 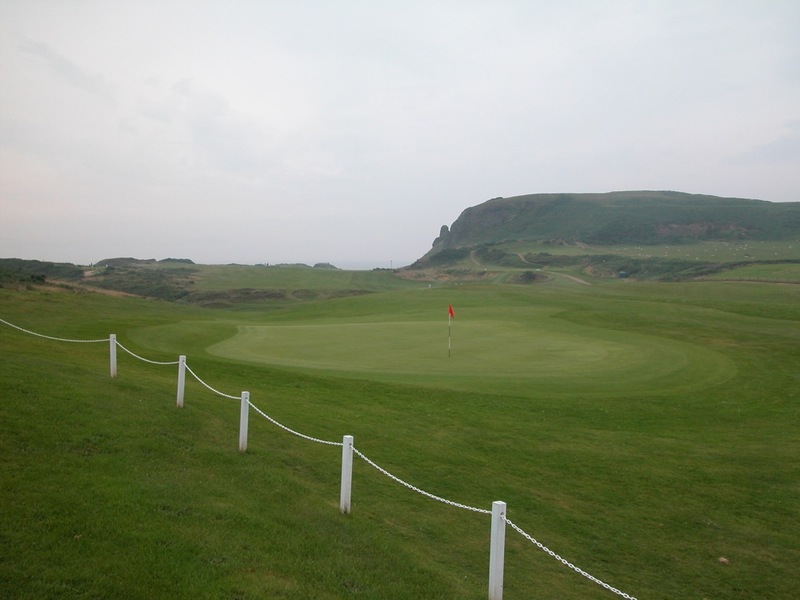 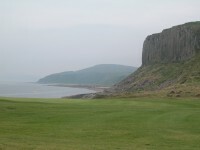 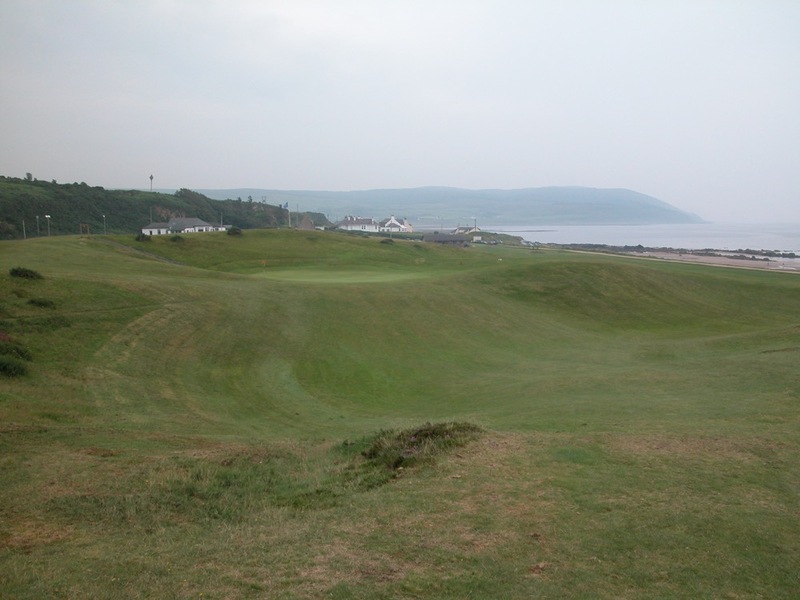 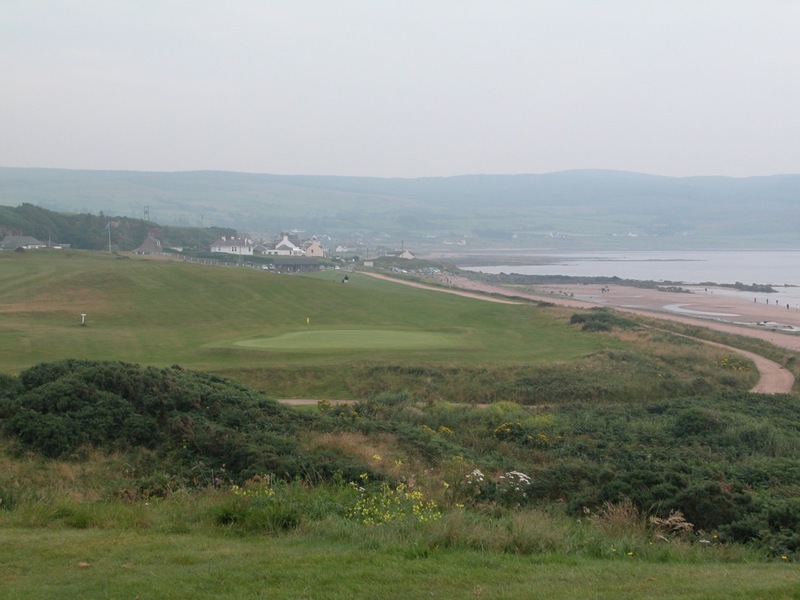 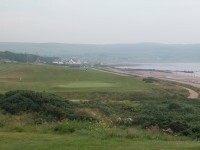 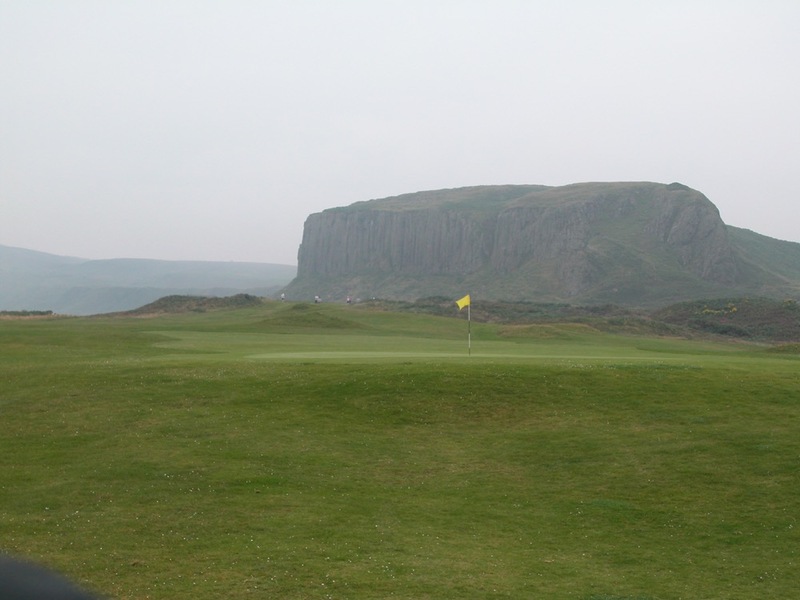 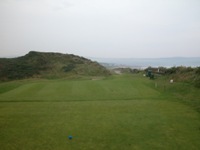 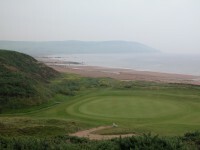 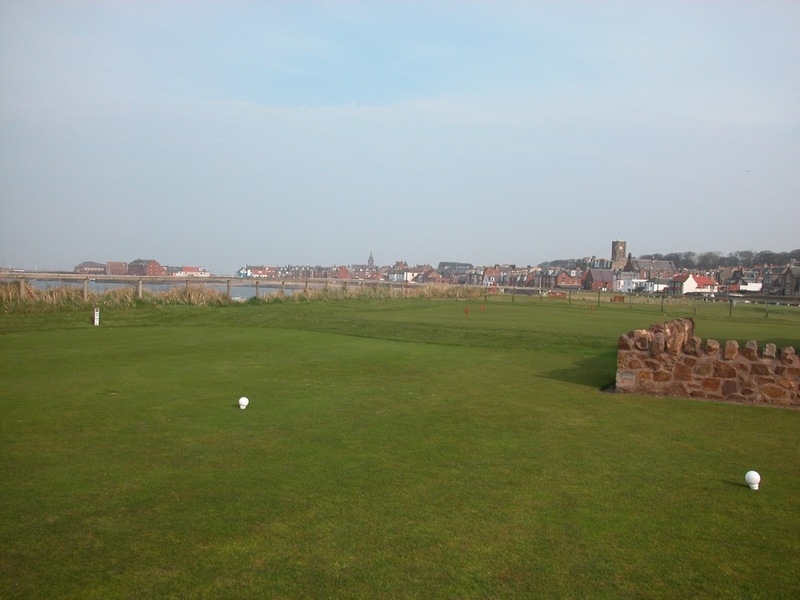 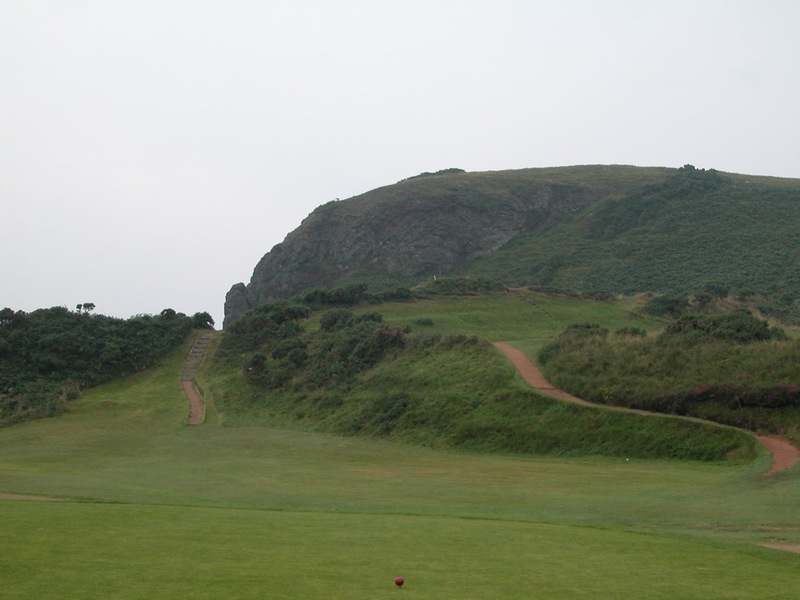 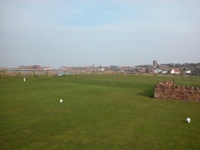 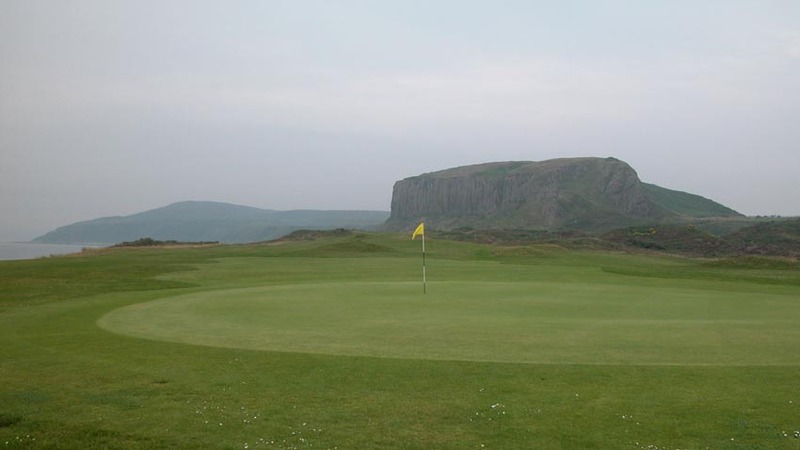 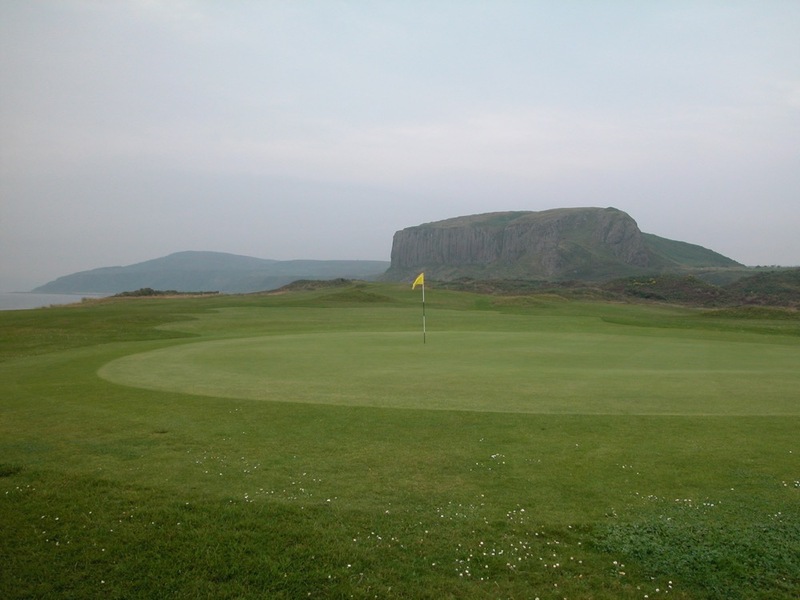 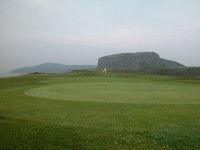 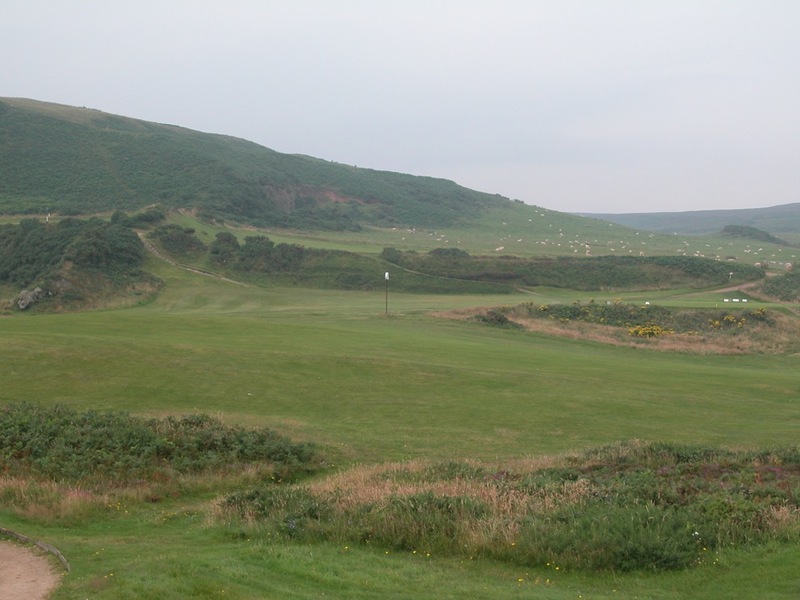 Head to the Isle of Arran, and play 12 at Shiskine!